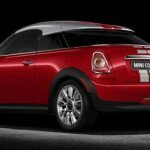 The Mini is a small compact car of the British Motor Corporation (BMC) and its successors from 1959 until 2000. The original is done as a British icon of the 1960s, its transverse engine layout front-wheel drive compact, for 80 percent of the area of ​​the floor of the car to are used for passengers and luggage, a generation of car manufacturers affected. 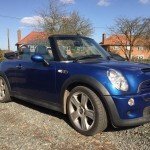 In 1999 the Mini was voted the second most influential car of the 20th century, behind the Ford Model T, and before the Citroën DS and the Volkswagen Beetle. This distinctive 2-door car was developed for BMC by Sir Alec Issigonis. 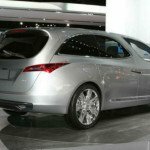 It was, in the factories of Long bridge and Cowley, England, the Victoria Park produced / Zetland British Motor Corporation factory in Sydney, Australia, and later in Spain, Belgium, Chile, Italy, Malta Portugal, South Africa, Uruguay, Venezuela and Yugoslavia. 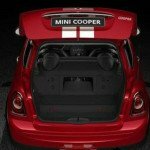 Mini Mark I had three major updates in the UK – the Mark II, the Clubman and Mark III. Within these was a series of variations including an estate car, a pickup truck, a van and Mini Moke a jeep-like buggy. Sporting versions, Mini Cooper and Cooper “S”, was the effect of rally cars, the Monte Carlo Rally three wins from 1964 to 1967. In 1966 Mini was disqualified after the finish, the result of a controversial decision, the cars had an illegal combination of headlamps and spotlights. 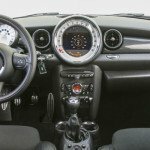 With the introduction in August 1959, the Mini has been marketed under the Austin and Morris names as the Austin Seven and Morris Mini-Minor. The Austin Seven was renamed Austin in January 1962 and became a mini brand in its own right in 1969. In 1980 he returned to the Mini Austin Mini and 1988 Rover. 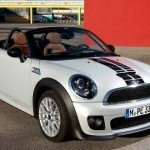 Mini is a British automotive brand BMW had specialized in mini cars like the original Mini. BMW acquired Rover Group in 1994, and sold most of it in 2000, but retained the rights to build cars with the name MINI. BMC managed a department for competition in Abingdon, Oxfordshire, under Stuart Turner control, the expressly arrange Minis build to participate in international rallies and other motorsport, its played a key role in ensuring the great fortunate of the Mini in motorsport in the 1960s, mainly by winning the Monte Carlo Rally in 1964, 1965 and 1967, the 1000 Lakes Rally in 1965, 1966 and 1967 and the first 9 positions in 1966 in Bathurst Gallaher dominated 500. The car also won the season in 1961, 1962, 1969, 1978 and 1979 British Saloon Car Championship and the British Rally Championship in 1962, 1963 and 1970, European Rally Championship in the years 1965 and 1966 and won the Lowood 1965 04:00 endurance races. The Cooper S also has some success in the European Touring Car Championship and won 1964 and 1968 the Guia Race of Macau and the Australian Touring Car Championship, winning his class in 1962, 1963, 1964, 1966, in 1967 and 1968. Another title the Sun-7 Chesterfield Series 1971 Mini also benefited class victories in 1963 at 500 Armstrong, repeat every year, this feat until 1969, and with class wins in 1964, 1965 and 1971 Sandown 250 and six hours of Le Mans in 1963, 1964, 1965, 1966, 1967, 1968, 1969, 1970 and 1972 and in 1971 Phillip Iceland 500K. The Mini Cooper S won the Monte Carlo Rally in 1964, 1965 and 1967 Minis initially ranked first, second and third in the rally in 1966 as well. Disqualification of using a dimming circuit connected to variable resistance projector instead of a double filament lamp. The next finished car, a Citroen DS, a model that had won the race before, won first place the DS had similar headlamps, but these were standard equipment on the car – in accordance with the letter of the rules. The driver of Citroen, Pauli Toivonen, the feeling that he did not really “won” the rally. BMC probably received more publicity disqualification, as they have won a victory. 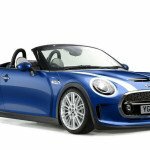 The Mini has won many awards over the years, perhaps most notable adds 2nd place for the cars of the ‘Global’ of the century in 1999, awarded only after the Model T Ford. Run In the same competition, by the prestigious Global Automotive Elections Foundation , the Mini was “Car of the Century.” Assigned Elected Motorsport Mini based editors with Choice in 2002. 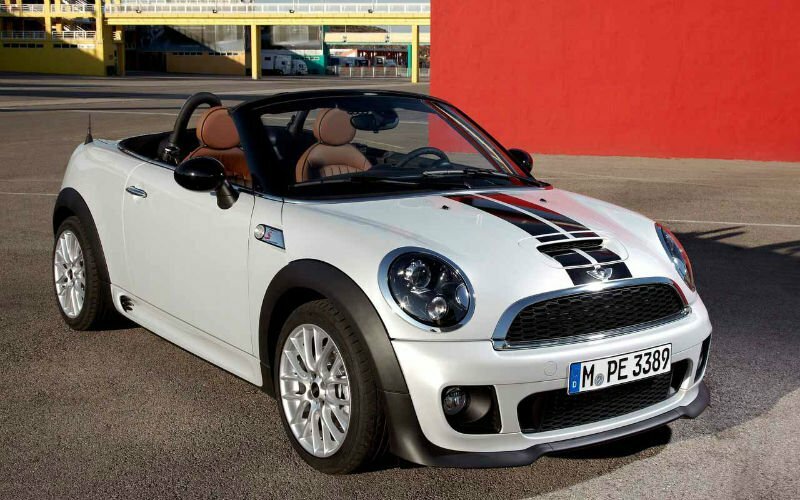 The Mini also has awards for “Car of the Century” and “Number One Classic Car of all time”. At the end 5.3 million Minis were sold, making its most popular British car ever. Announced in July 1965 that BMC following “comments from security experts” on exterior door handles of the Mini, it would be modified on new cars so that the gap between the handle and the door panel actually concluded. Nicholas Faith in his book that Murray Mackay, one of the main researchers and crash safety of motor vehicles in the UK, was critical of passive safety features of the upstanding pre-1967 Mini, including the cap filling, locking the door, and the vulnerability of the passenger compartment with the engine intrusion. 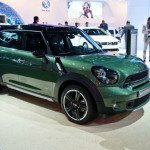 The Mini was taken from the US market because it could not meet the 1968 US safety and emission standards, and updated at regular intervals, not enough to comply with US regulations. He continued to be sold in Canada until 1979. A UK Department for the Transport Statistics publication present estimates of the risk of driver injury collisions in two cars with injuries on the basis of reported road accidents data, said that the Mini 1990-2000 was one of two small cars, which probably hurt with an estimated 84 percent of drivers are presented the greatest risk of injury to the driver; the average risk for the small car category was 76 percent.